The Style Lab is an online course focused on photo styling for bloggers and small businesses taught by myself and my Confetti Pop partner Shauna. The logo picks up the blue from the overall Confetti Pop brand, then adds green to differentiate it. Like Confetti Pop, the brand is clean and modern. The site, run on Wordpress, was designed to be easy to navigate and formatted in a daily blog style format so that the lessons would be intuitive for the students to follow. 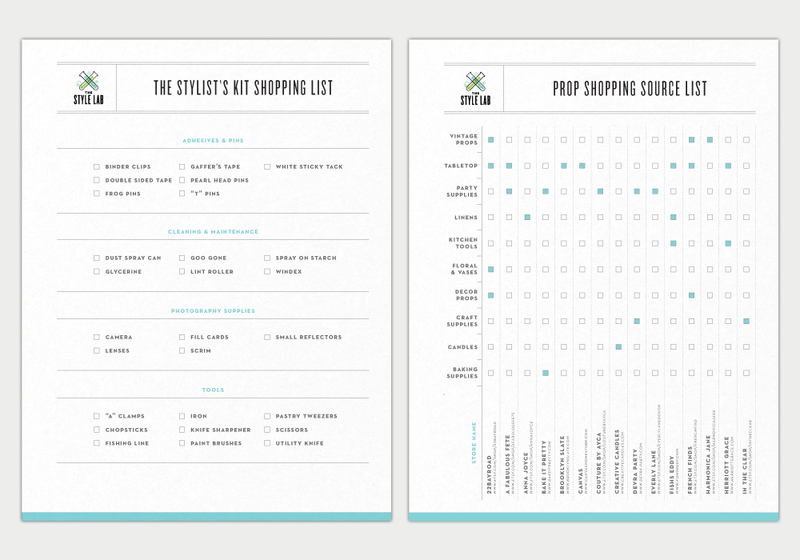 Printable PDF guides were also designed and provided for future reference, including a list of our favorite prop shopping sources, a supply guide for styling, and a prop directory page to help catalog prop purchases.